The golf swing is a very complex movement which, for it to be efficient and successful, requires your body to be functioning at a high level. 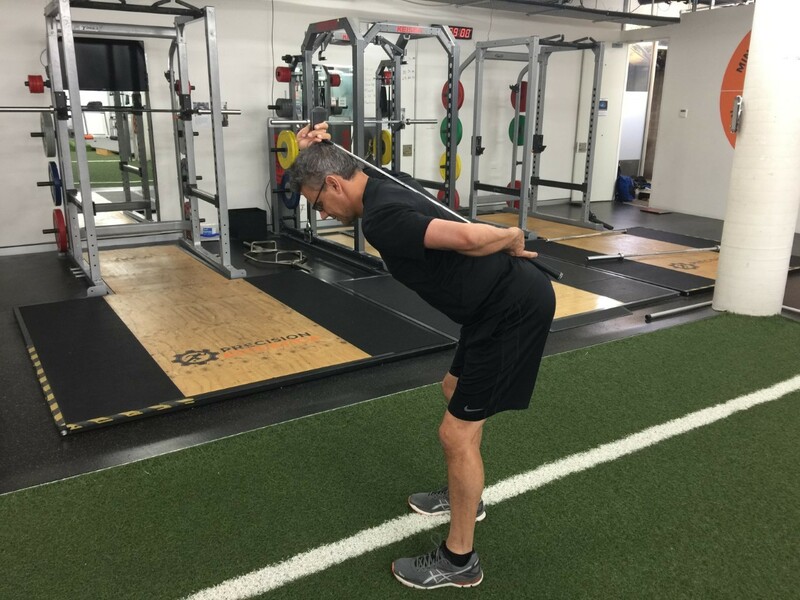 There are requisite levels of mobility and stability needed to be able to make an efficient golf swing no matter your playing ability or goals. There are also certain movement skills required to be able to successfully complete a golf swing. These movement skills are only possible if you have the necessary mobility and stability to complete them, and therefore an inability to efficiently perform these movements skills probably means you will have difficulty completing a successful, efficient golf swing. Now, in order to successfully learn a movement skill (related to Golf or anything else), there are certain steps and processes that you need to go through in order make the skill permanent. You actually need to ingrain the new movement skill so that it becomes your habit, you need to get to the point where you cannot get it wrong. So how do you make a movement pattern permanent? Well, to answer that question, I have outlined a few simple steps, that if followed will increase your chances of making the skill permanent and in this case, be able to transfer it to your golf game. Ask yourself, are there any barriers to you being able to perform the skill? These can be flexibility issues, weaknesses, imbalances or lack of control. These need to be identified and addressed. This sounds obvious, but often is not done with sufficient detail. You need to practice the skill in a way that gives you feedback so that you know when you do it correctly, and when you do it incorrectly. Once you have learnt how to do the skill correctly. You then have to ingrain it so that you can’t get it wrong. The best way to do this is to challenge yourself to perform the skill under different conditions. These can include on unstable surfaces, under load or under fatigue. This is probably the most important phase if you want to continue to improve! As humans we are influenced by everything we do and come into contact with, which means that how we move will change over time, depending on what we do. As an example, a long week in the office or a long plane flight, will often cause some tightness through our hips and spine which will influence how we move. So we need to continue to work on skills to maintain them. So now putting my golf movement hat on, over the next few weeks I’m going to break down some key areas that if you get right, will drastically benefit your ability to complete more efficient golf swings and in turn I’d believe, improve your golf game! Good set up posture in your golf swing is important to promote efficient movement that decrease your risk of injury, it also lets you swing more effectively. One of the key aspects of correct posture is the hip hinge (or bending correctly from the hips). I hope that you found this article useful and follow the steps that I have outlined. Next time I’m going to help move you onto Rotational Control and in a similar way, show you how you can help your golf game change for the better by doing some basic home exercise. If you at any time would like more specific and individualised help, please come and see me at Precision Athletica – I work with all levels of golfers from beginners through to PGA Tour players and you can book sessions by calling us on: 02 9764 5787.